These Provincetown restaurants serve American cuisine – everything between the simple and the creative. The Provincetown cuisine follows the seasons, most of the Provincetown restaurants change their special every week and captivates those who love heart-felt cuisine. Take advantage of the tables on the outside terrace – the ambiance is always lovely. The menu here is varied and simple: here you won’t find overly complex cuisine, but simple dishes that are well prepared. 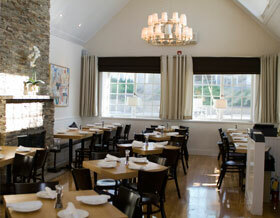 Ideal for lunchtime and early evening for families in Provincetown.Friday nights, head inside the restaurant for some weekly jazz or rock music by local bands. A tiny restaurant often full to the brim, Cafe Heaven offers high quality cuisine with good prices to boot. At night, try their daily pasta dishes; you can choose any accompaniment and a variety of sauces as well. An interesting tavern menu, this place is tucked away from the hustle and bustle, you wouldn’t even notice that it is next to Bubula’s! A new restaurant in town, with entertainment every night and a big easy brunch the sunday. 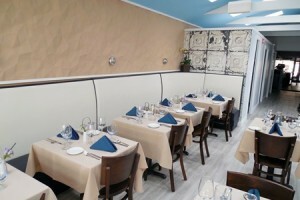 The restaurant provides simple, healthy and delicious food at a moderate price. Benefitting from a large terrace, at Patio, one can observe the spectacle and entertainment of onlookers from Commercial Street – and their dishes are generously sized and well prepared. The Red Inn is found at the very end of Commercial Street in the West End, it features a terrace and garden perfect for drinking a beer or sipping on a cocktail. 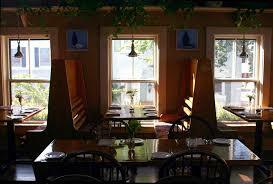 The Red Inn also has a large dining room with a stupendous view of the very tip of the Cape. The ambiance is great, the menu excellent. 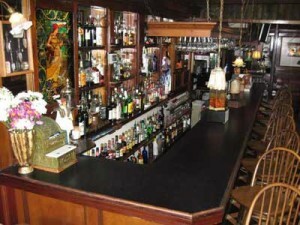 It is a good idea to reserve in the summer because it is often crowded, but you can also eat at the bar. 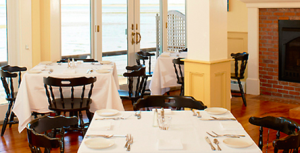 An ideal place for an intimate dinner and situated on the second floor of Whaler’s Wharf, Ross’s Grill is known for its lovely view of MacMillan Wharf, its « steak fries » and its Scallops risotto. In a contemporary space, Victor’s offers a menu of sophisticated tapas and great tastes and unique flavors. Excellent local Seafoods, but for the meat: beef, filet mignon are very good too. Why don’t you start by the fabulous Bloody Mary? From the owners of Kohi Coffee is Spindler’s, one of the newest additions to the Provincetown restaurant scene. 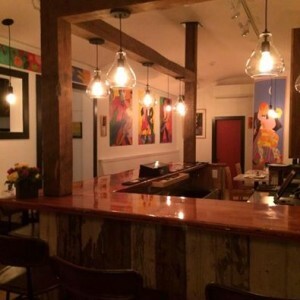 The small but focused menu is a hybrid of French and Italian cuisine, and diners can choose to sit in the cozy dining room, the terrace on Commercial Street, or the upstairs deck! Try the artfully presented Tuna Niçoise, or the Roasted Green Circle Chicken with a toasted bread salad. Walking into Strangers & Saints feels like walking back in time to 1850, when this building was constructed. 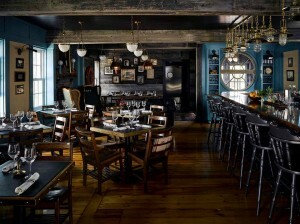 The interior design follows a stunning nautical-tavern theme, complete with a couch and chairs for lounging. The Mediterranean-influenced menu emphasizes local vendors and producers; there are plenty of small plates to choose from and the pizzas are unique: try the arugula and mission fig pizza with balsamic glaze, prosciutto, and Gorgonzola cream. 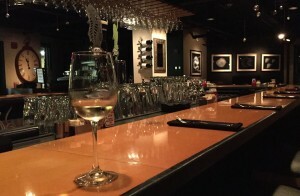 The drink menu specializes in craft beers, new and old world wines, and craft cocktails. Not to be missed!